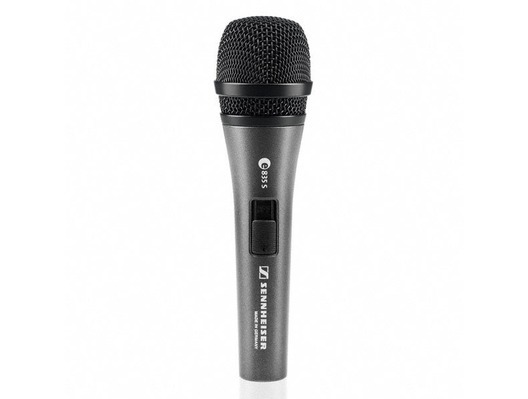 The Sennheiser e835S is a dynamic cardioid microphone with a noiseless on/off switch, designed for speech and vocals. Ruggedly constructed entirely from metal, it will produce a clear, natural vocal sound that cuts through high volumes on stage with no interference from feedback or handling noise. 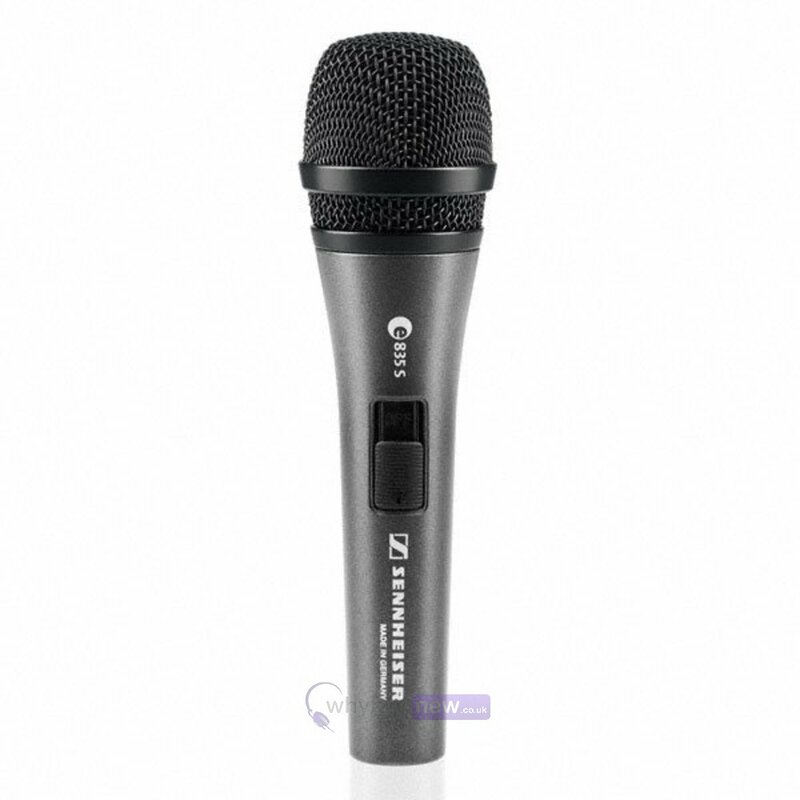 Although e835s is ideally suited for home recording, semi-professional studios and live performance, it has also become very popular for applications such as lectures and presentations, where intelligible speech is paramount.